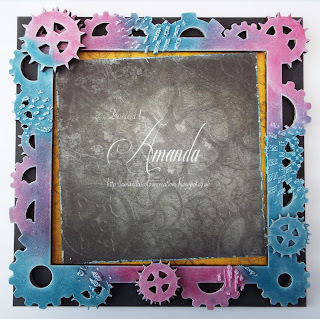 Amanda's Colour Creations: Steampunk and i love it!! 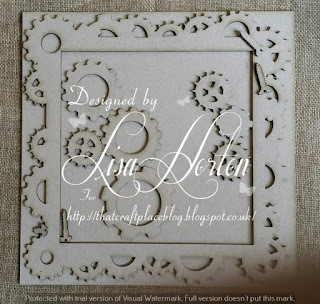 Hello all you Crafter's, i hope all is good in your Crafty World! There's a few photo's to show you how i made my project. Hopefully i won't bore you but thought some may find it helpful with a few step by steps on how i made it. First prime the MDF with All Round Medium, once dry i applied Texture Paste through some Stencils. Then paint over it all with Gesso so that the paints etc will not come off. Next i painted it with Acrylic Paints in Turquoise and Cerise and then with White Acrylic Paint i dry brushed all the edges to tone it down. The back piece of the Frame i painted black and again dry brushed with white paint. Now to start adding the papers which i roughed the edges up. 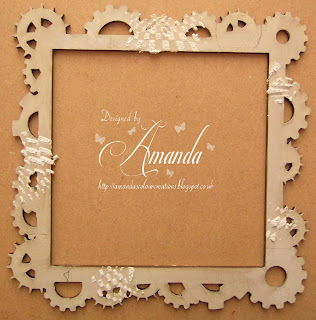 I added several Die Cuts around the edges before i glued the frame to the Backing MDF piece. 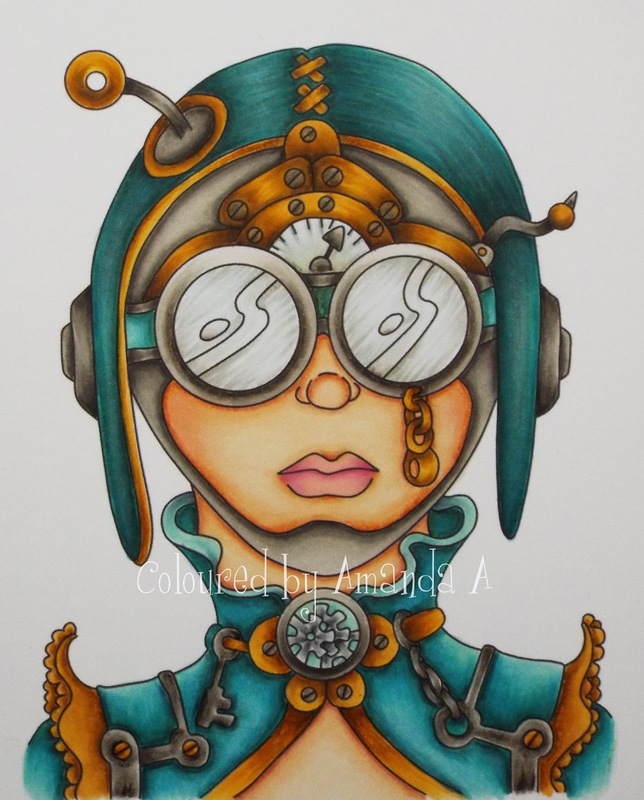 Here's the image i used from That Craft Place Etsy Store called The Pilot. Here's a few close ups so you can see more of the details. 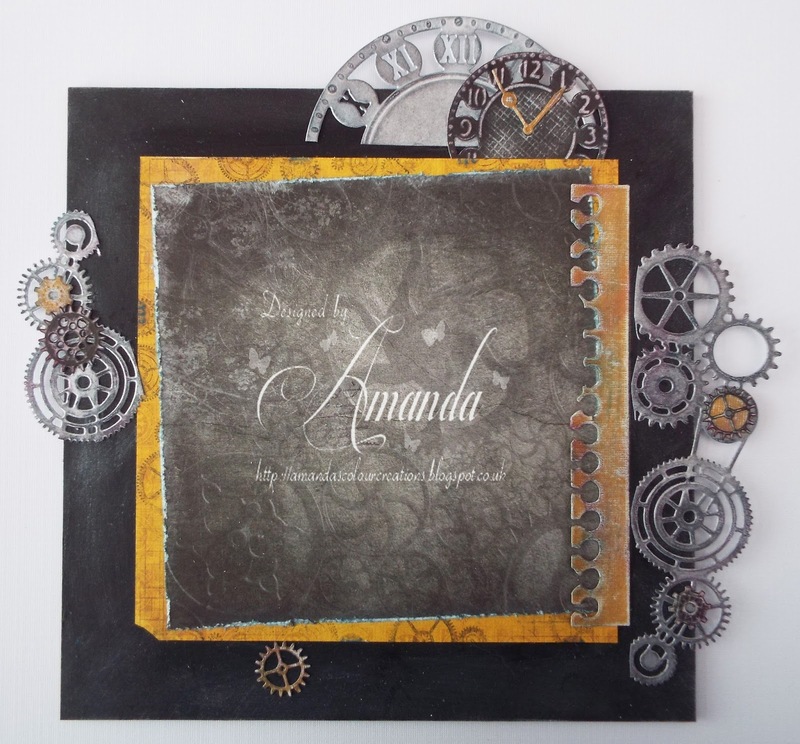 The Metal Aeroplane & the tiny fob watch started of as brass coloured but it was gessoed and then i applied Inka Golds. I also added Inka Gold to the raised bits i had done with Texture Paste to add a bit of shimmer. 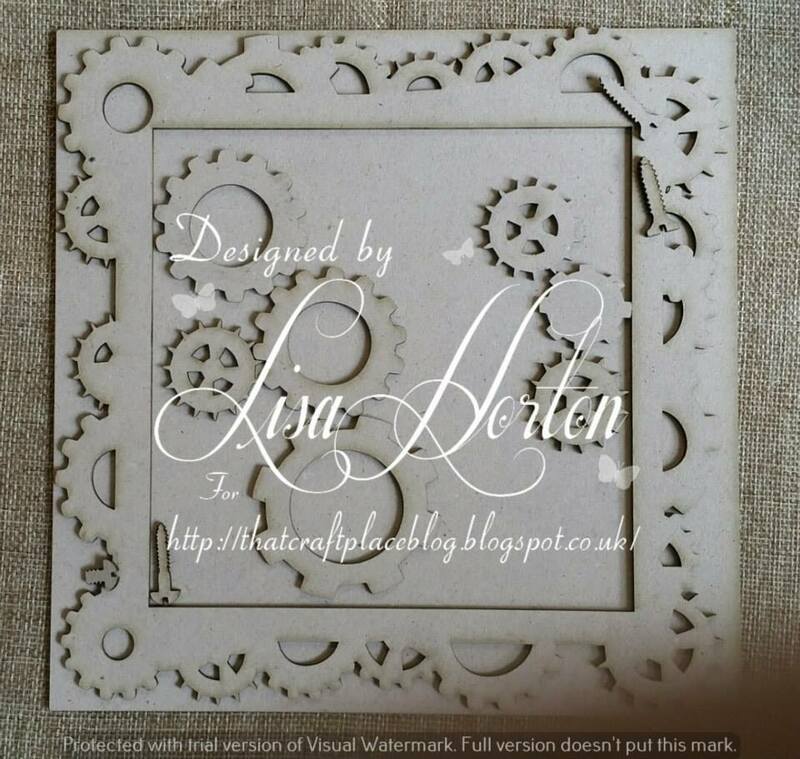 I really have enjoyed making this so much that i have just received 3 more of the Laser Cut Frames so i can group them all together on a wall. So watch out for some more very soon. Wow that was a long post and i hope i didn't bore you to much!! 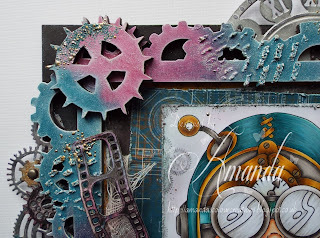 Pop over to That Craft Place Blog to see what the rest of the Amazing DT have made. Wowza girl! I LOve what you did here! A lot of steps - but sooo worth it. The colors are unexpected with Steampunk - a delightful surprise in my opinion! Love all the details and the metal you worked into your design. So glad you are sharing your project and creativity at 613 Ave C – thank you! Oh Wow! 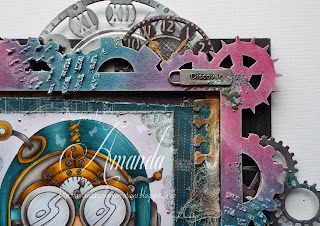 This is soo my thing but I rarely get time to indulge in mixed media. I absolutely love Steampunk ( as you will see from my blog) and you have done a fantastic job here creating this framed wall hanging. 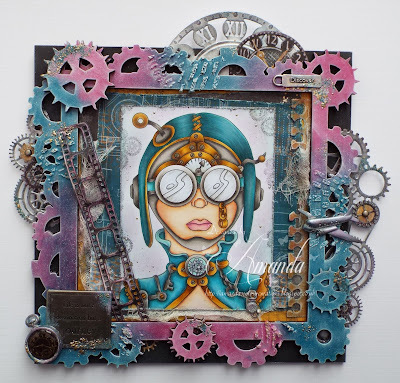 I love the image and your colouring of her is superb together will all the fabulous industrial elements and details. Thanks for joining us at AYLI this week with this fab project. I saw this on FB and had to come read the details. 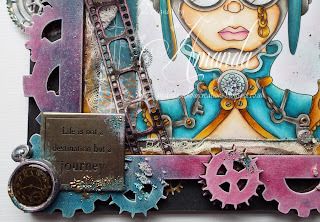 It's fabulous with so much depth of detail, color, and texture. Wow, incredible attention to detail! Fabulous. 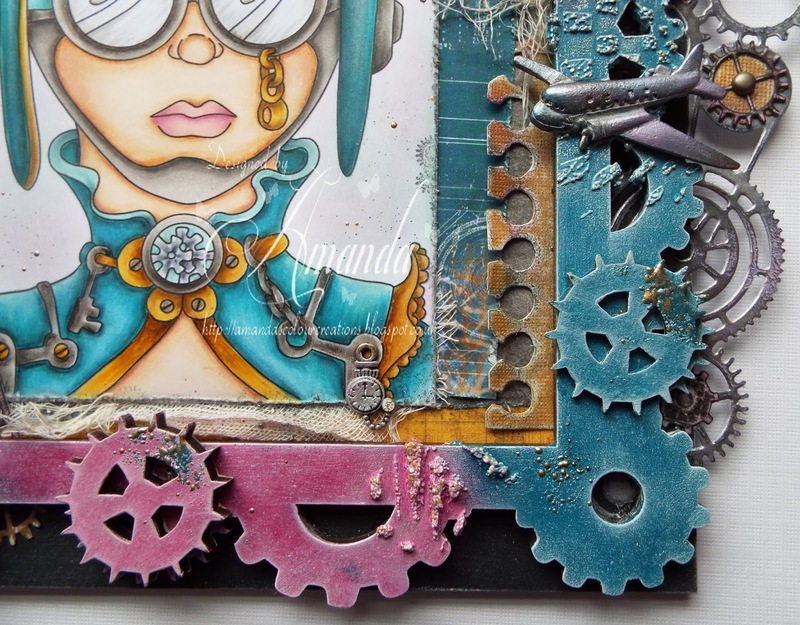 Thanks for joining us for our 'Anything Goes' challenge #40. Wow - this is just amazing!!!! Thank you for joining us at The Corrosive Challenge! 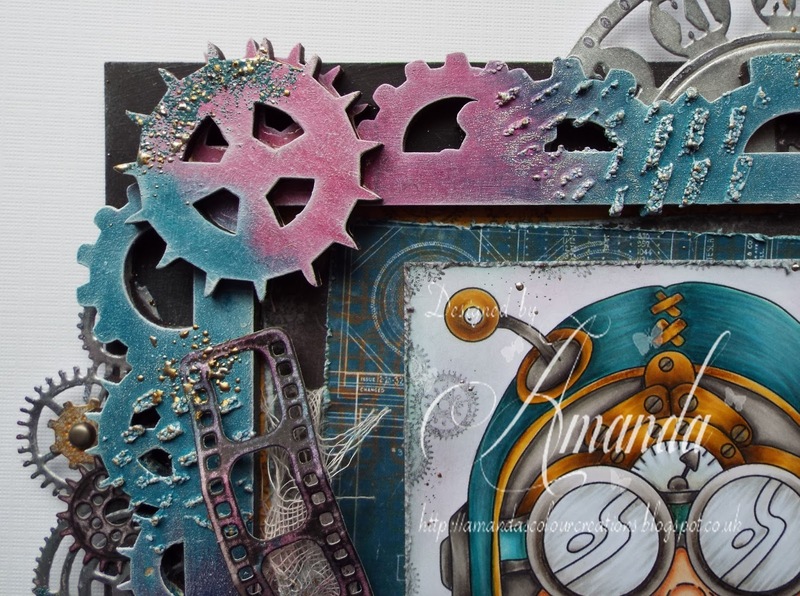 Fabulous color choice in steampunk, looks great, loving all the diecuts and the perfect image. Thank you for joining LOC #95 challenge, hope to see you soon again. You do really awesome work. I love your coloring and your idea to frame this. That frame is so amazing also! Super great job here! Thanks for playing at LOC! Thanks for showing all the steps! Very intricate and detailed. 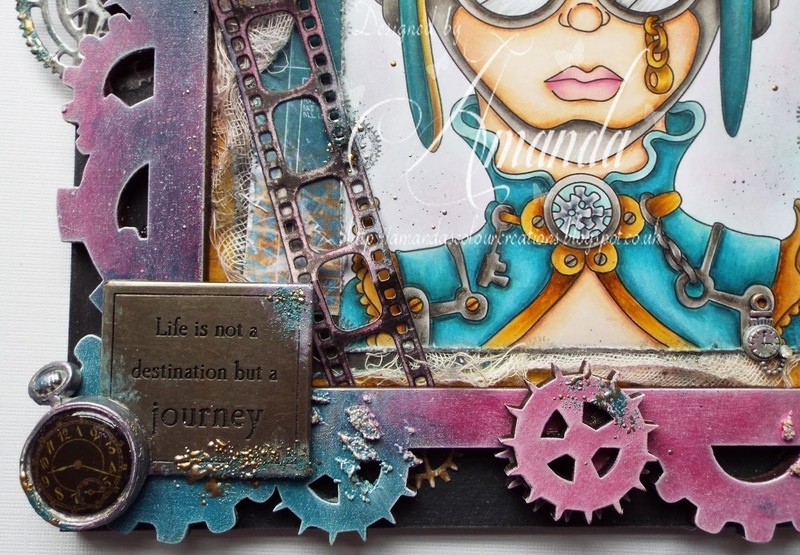 Thanks so much for joining us at Sparkle N Sprinkle's Creative Challenge. Absolutely stunning. Very clever and very creative, love it!